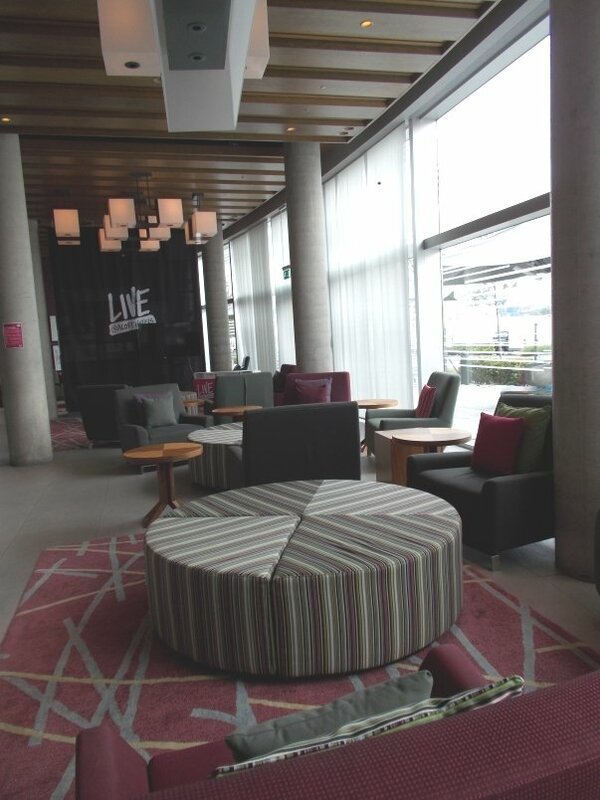 The Aloft London Excel was my home for two nights in June 2015. I chose the hotel mainly because I was looking for a stay that would utilize my Starwood points. It was the only hotel in London for the dates I needed that fit in with the number of points that I had to spend. 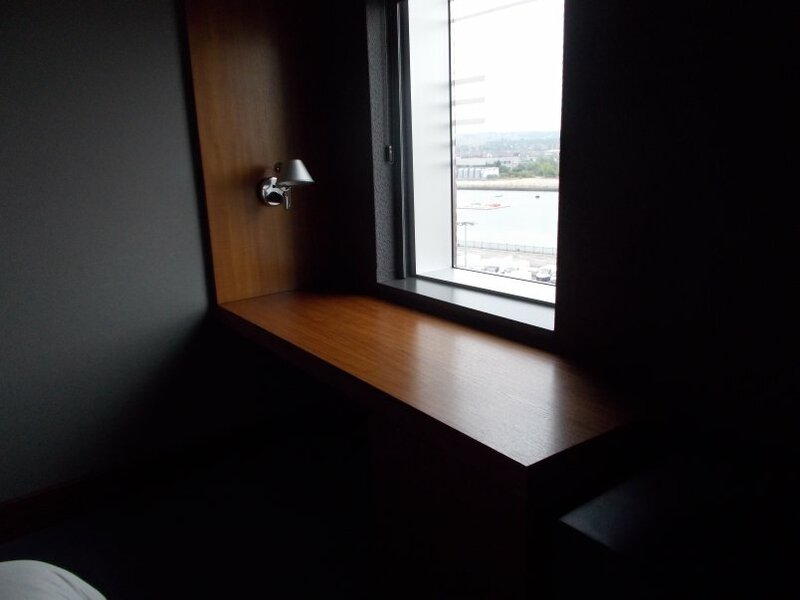 As the time drew closer for my stay at the Aloft London Excel I was questioning my decision to stay so far off the beaten path with only three nights in London. I was pleasantly surprised by how easy public transportation was to and from the hotel and with the number of interesting things to do within relatively close proximity. The hotel has a modern, almost industrial, vibe. The lobby and restaurant area get a lot of natural light and the minimalist furnishings give a sense of space and clean lines. 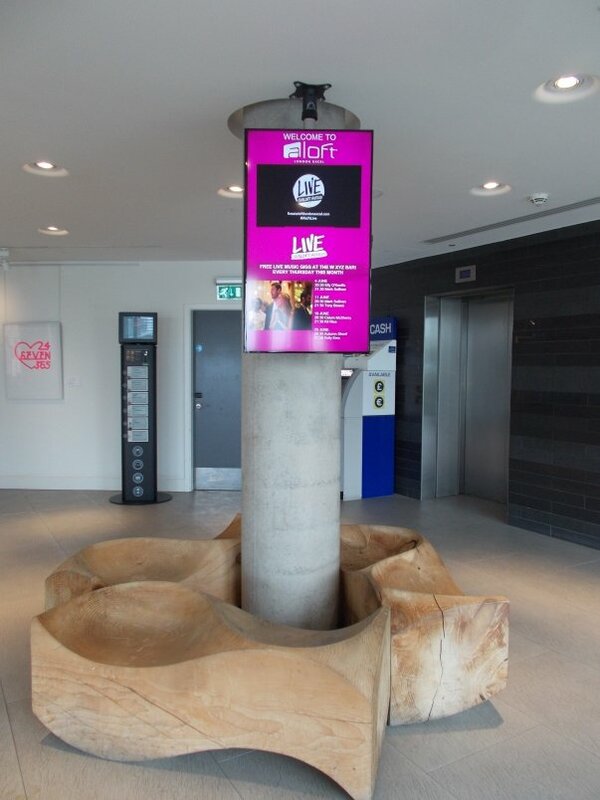 The Aloft London Excel is directly connected to the east entrance of the ExCel International Convention Centre (ICC). 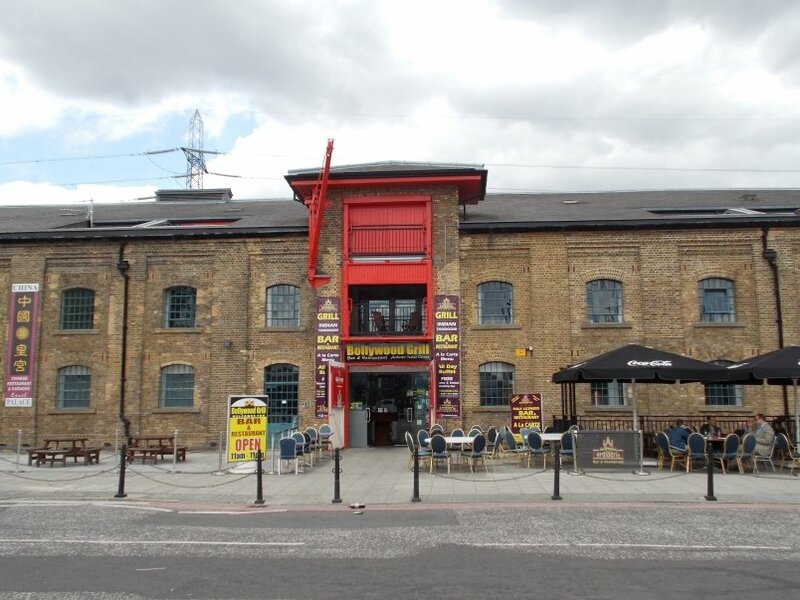 This is located next to Docklands Light Rail (DLR) Prince Regent station. If taking the DLR to the hotel get on a train heading towards Beckton and get off at Prince Regent station. Turn right at the exit of the station before going down to the street level. The convention center will be directly in front of you. 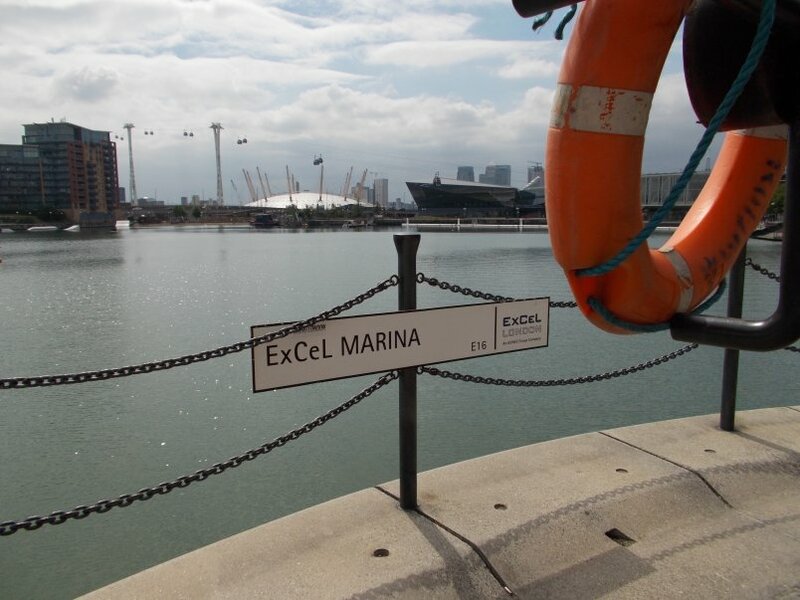 Follow the signs to Aloft London Excel (410 ft), which is to the left of the convention center entrance. 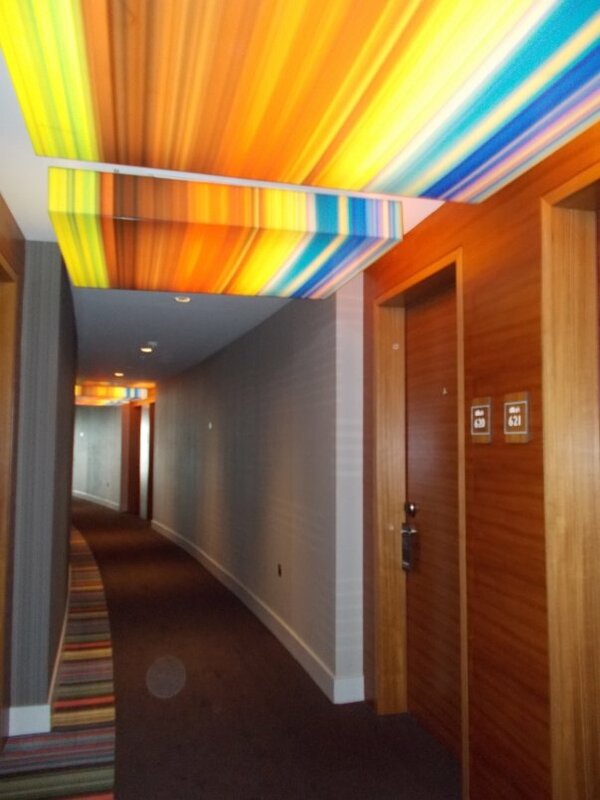 You will enter the hotel on the 2nd level. From there you can take the elevator one floor down to the lobby. 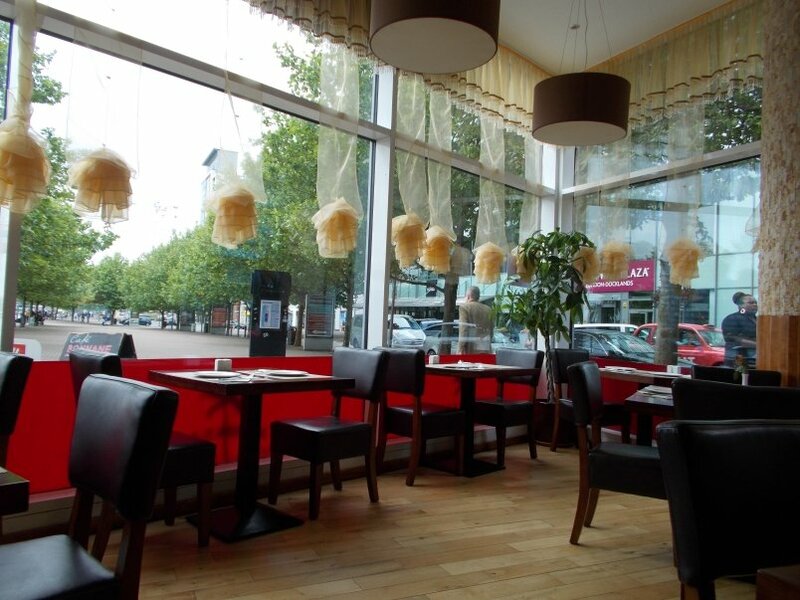 It is less than a mile walk from Aloft London Excel to the Docklands area where you will find many restaurants. 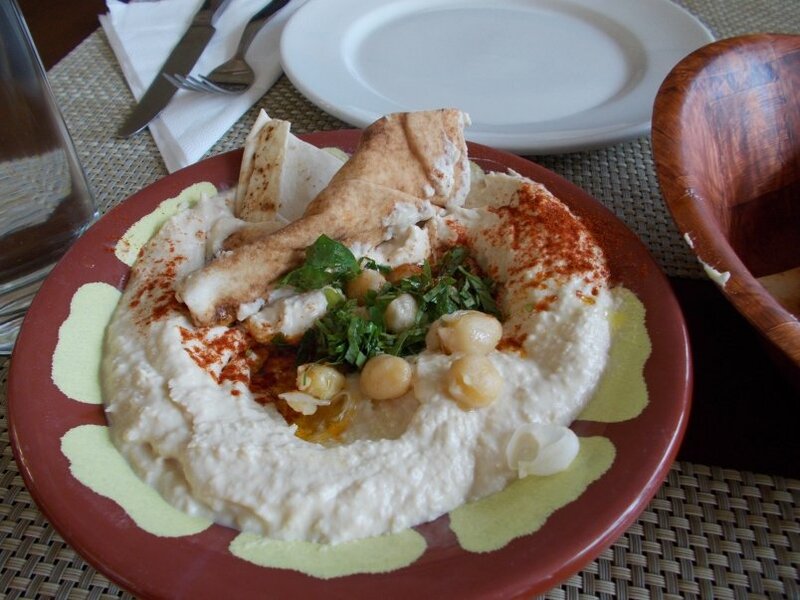 My first afternoon I ate at Al Masar, about a 15 minute walk from the hotel. They have an extensive Lebanese menu. I had hummus with pita, a warm appetizer of chicken livers sautéed with a pomegranate sauce (trust me, it was delicious). An assortment of Baklawa, miniature traditional Lebanese pastries filled with nuts & syrup completed my meal. The food was tasty and the prices reasonable with friendly service. Just beyond the restaurant I spotted the Emirates Air Line. Fascinated, I stopped at their counter for information about where they go. The cables lead across the Thames to North Greenwich. With info in hand I headed back to the hotel passing the restaurants of the Docklands area before walking beside the ExCel Marina. The next day, my only full day in London, I took the DLR with one change of train to Greenwich. I knew that I wanted to stand on the Greenwich Meridian Line and visit the National Maritime Museum. I had no idea there was so much to see in Greenwich. I spent several hours and wished I had more time. Going back to the hotel I took a short boat ride from Greenwich along the Thames to North Greenwich. 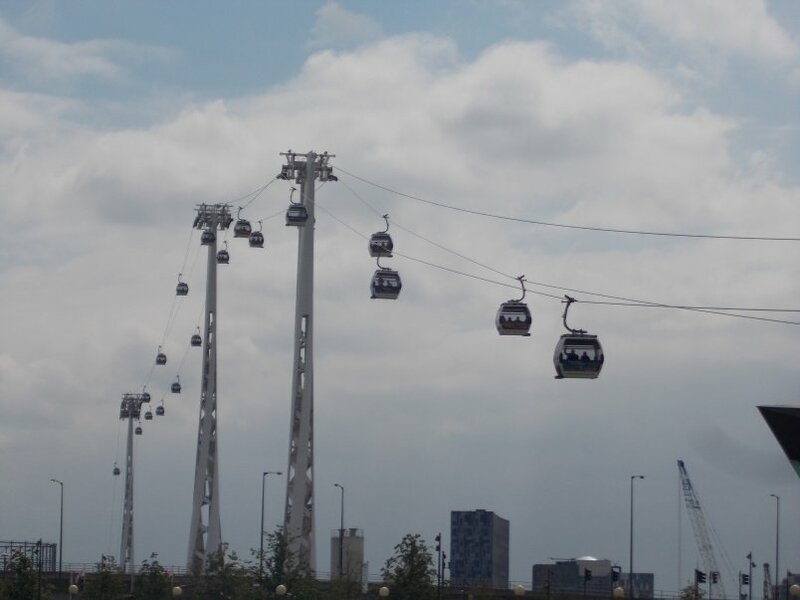 From there I took the Emirates Air Line to the Docklands and walked back to Aloft London Excel. Be sure to check with Emirates and/or the boat ticket offices to see if there is a combo ticket that will save you money. If you have an Oyster Card (London Visitor Card) there are discounts available on the DLR, tube, Emirates Air Line and the Thames boats. Now, back to the hotel itself. The check-in process was efficient. The reception staff answered all of my questions about local restaurants and transportation options to Heathrow. I was provided with a London map and the all important London Underground Tube map. The map includes information for the DLR train routes. There is a small kiosk next to the registration desk where you can check yourself both in and out of your room digitally if you prefer. Heading towards the room the vibe changes from slightly cool to warm and inviting, although still sleek and edgy. My bedroom, a standard Aloft room, was roomy with two large windows. 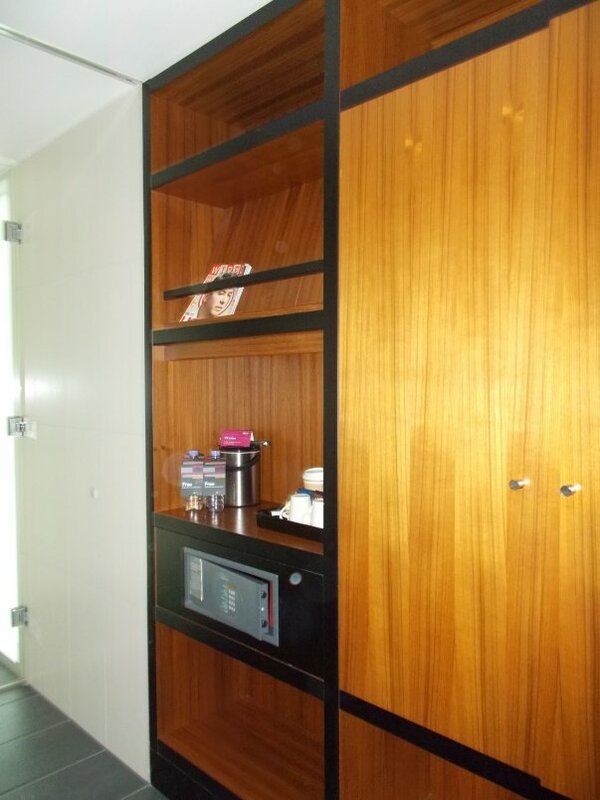 Furnishings included a 42″ HD TV, small fridge, microwave, coffee maker, closet and safe. The room had two large desk areas, each with outlets, lights and a chair. The option of both UK and EU power outlets provides easy access. With the hotel located next to the convention center, I am sure that this is greatly appreciated by the many hotel guests from the continent. The bathroom was spacious and modern. The room was quiet and comfortable. 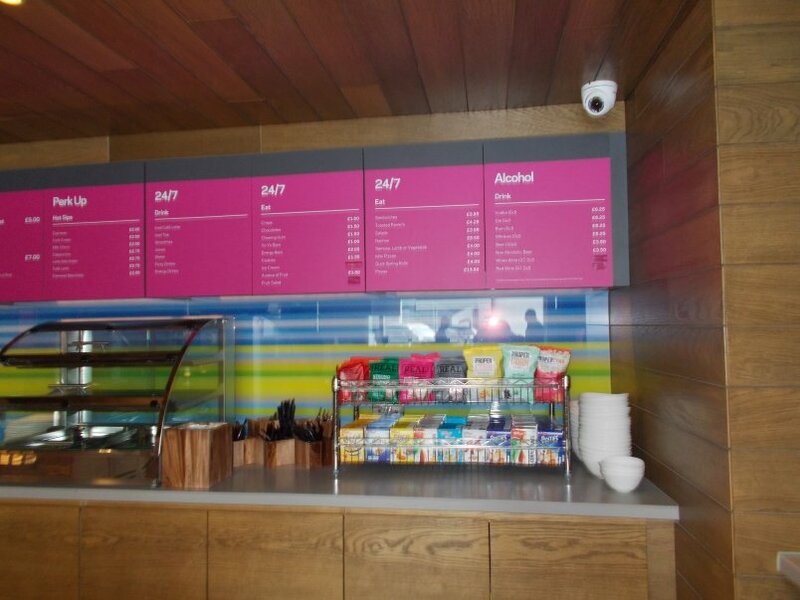 Next to the reception desk is a small, but well-stocked food and beverage area, re:fuel by aloftSM. The wide selection in such a small space was impressive. Fresh baked pastries daily, cereal, fresh fruit, yogurt, cold and hot drinks. Individual sized pizzas can be cooked fresh for you. 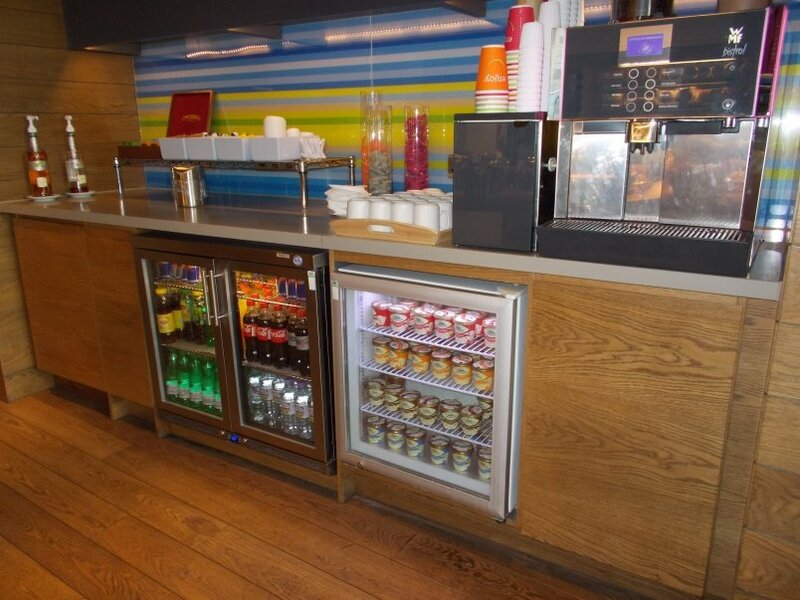 Because Aloft London Excel does not have room service re:fuel is open 24/7. I was most impressed by the reasonable prices. 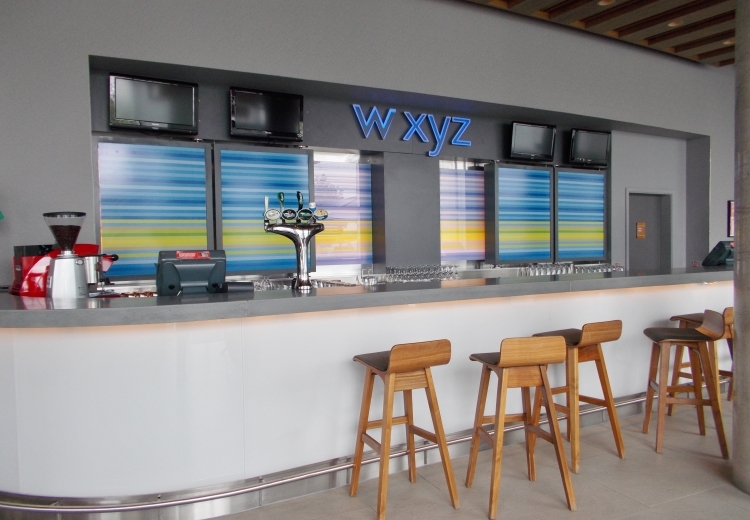 The WXYZ Bar Re:Mix is next to the lobby. 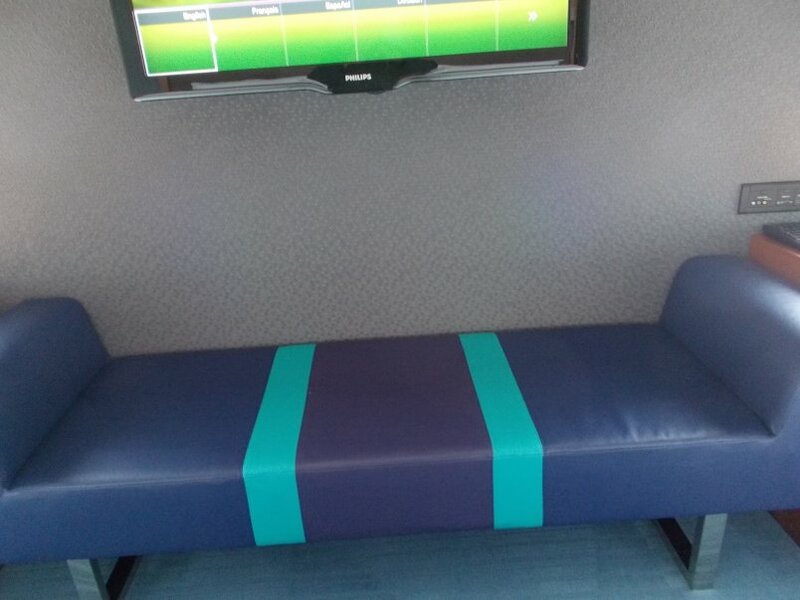 There are many seating areas accommodating both large and small groups. 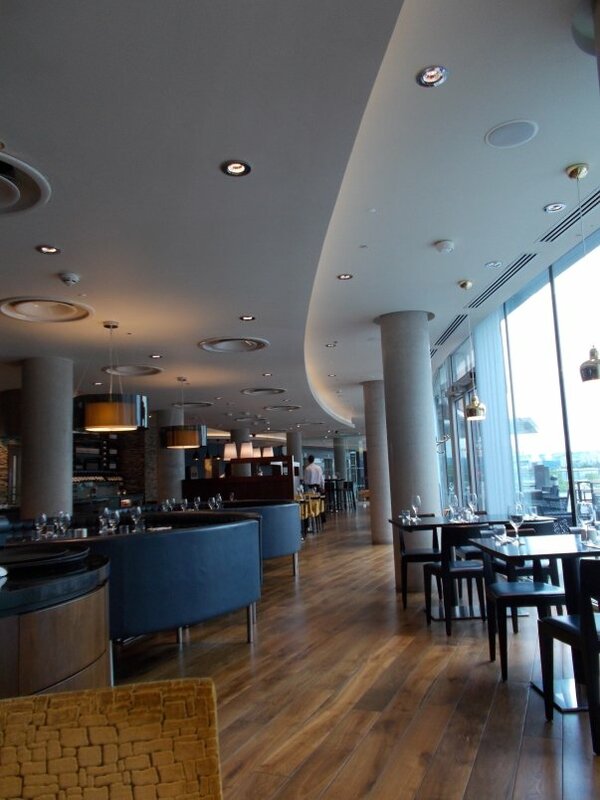 The main restaurant, FEDE, is one floor above the lobby on the same level as the DLR station. It is open for breakfast, lunch and dinner. My only meal in the restaurant was a light dinner of a salad. It was fine, not outstanding. 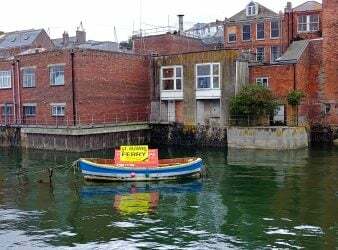 The menu is varied and the restaurant is an alternative to walking a little less than a mile to the nearest restaurants. 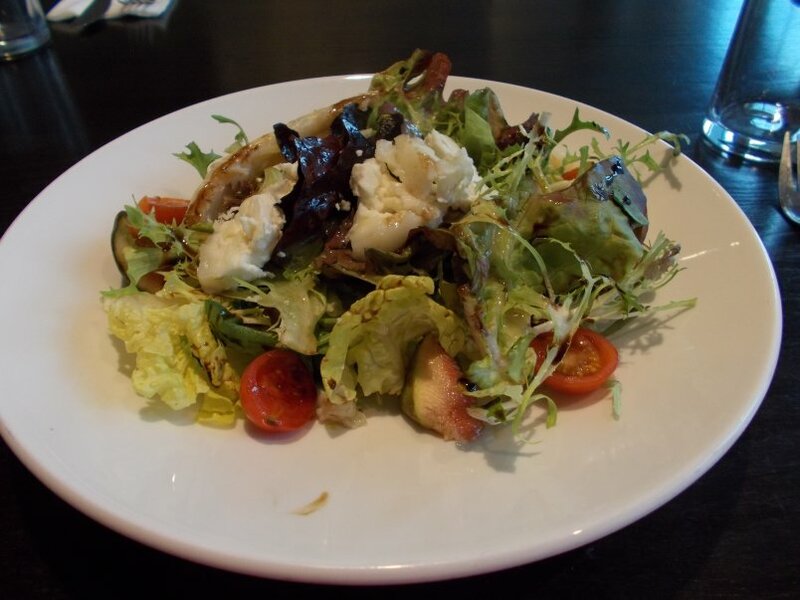 There are many restaurants to choose from if you do walk the 15 minutes to the Docklands and Royal Victoria Square area. 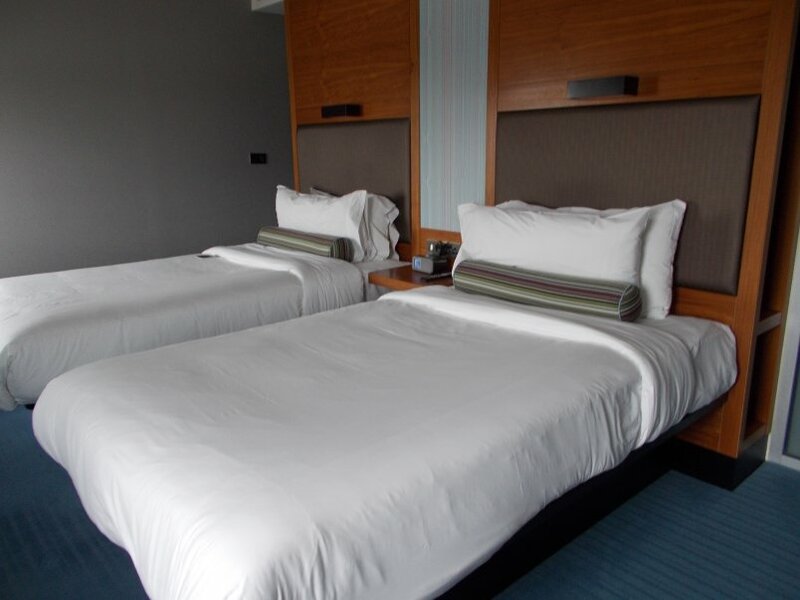 Aloft London Excel has a gym with stationary bikes, treadmills and elliptical machines There are also free weights and and an indoor swimming pool. The fitness area, re:charge(SM), is open 24/7. 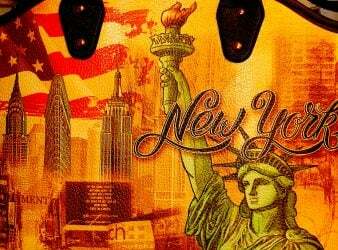 Checking rates for May 2016 I found Aloft Rooms (standard rooms 258-388 sq ft ) offered at $272 – $398 a night or 10,000 Starpoints. Aloft Suites (517-549 sq ft) were available for $358 – $398 with no points option shown. At 10,000 Starpoints per night I found this hotel to be a good value for point redemption. 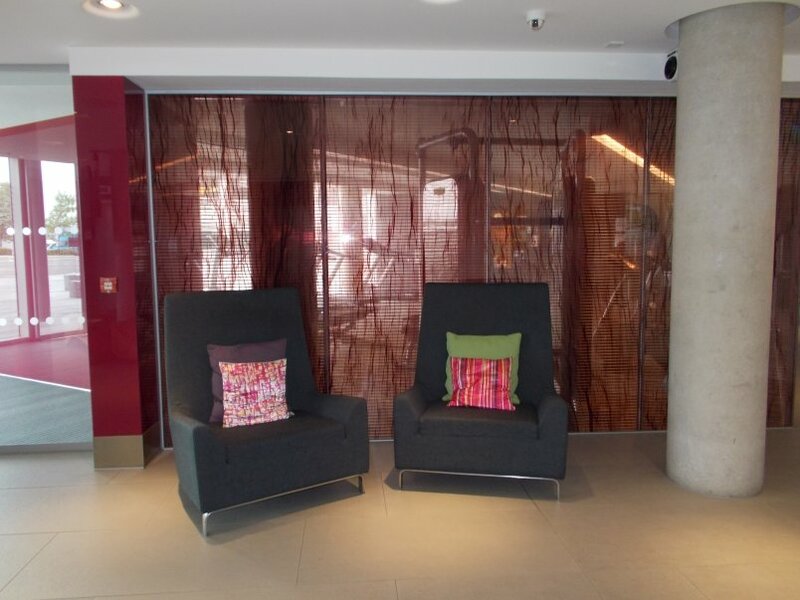 The hotel operates a free shuttle service to/from Canary Wharf on weekdays. Sign up at the reception desk to use this option once at the hotel. If you want to take the coach to the hotel to check in, here are the operating hours at the time of this article. You can reach the hotel by bus on the 147, 300, 325, 473 and N50 routes which all stop at the Prince Regent station. I was coming from Oxford the day that I arrived. The Oxford X90 bus stops at the Baker St. tube station where you can take the Jubilee line to Canning Town station and transfer to the DLR to Prince Regent station. This route is accessible which means no stairs, great if you have luggage. 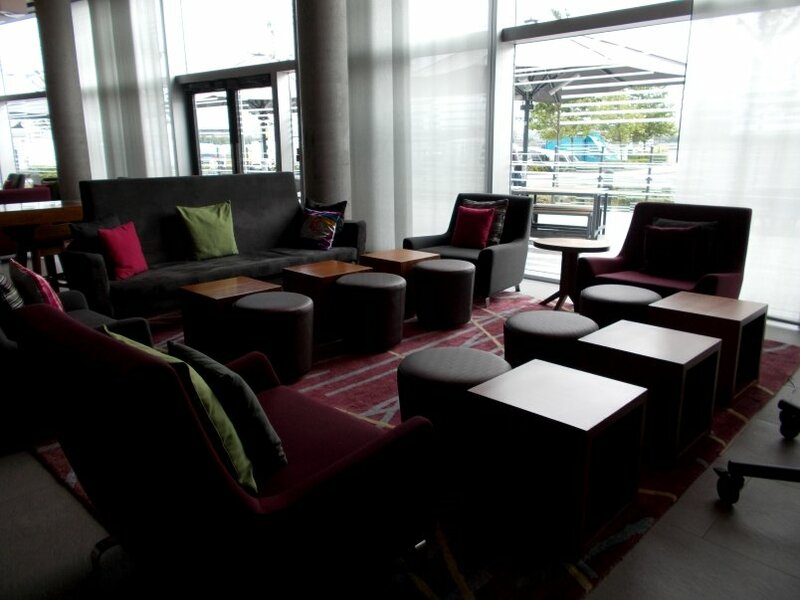 I chose Aloft London Excel for my three day stay mainly because it had a good point redemption value. I was expecting its location to be inconvenient and considered that a trade-off. 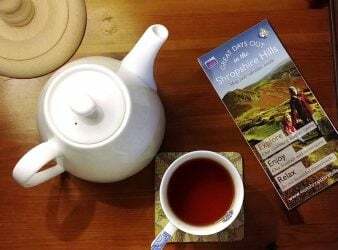 Once I arrived I found that I enjoyed the location and used the opportunity to explore some areas I had not previously been to in London, the Docklands and Greenwich. When traveling to and from central London using the tube and DLR the hotel was easier to access than I had anticipated. 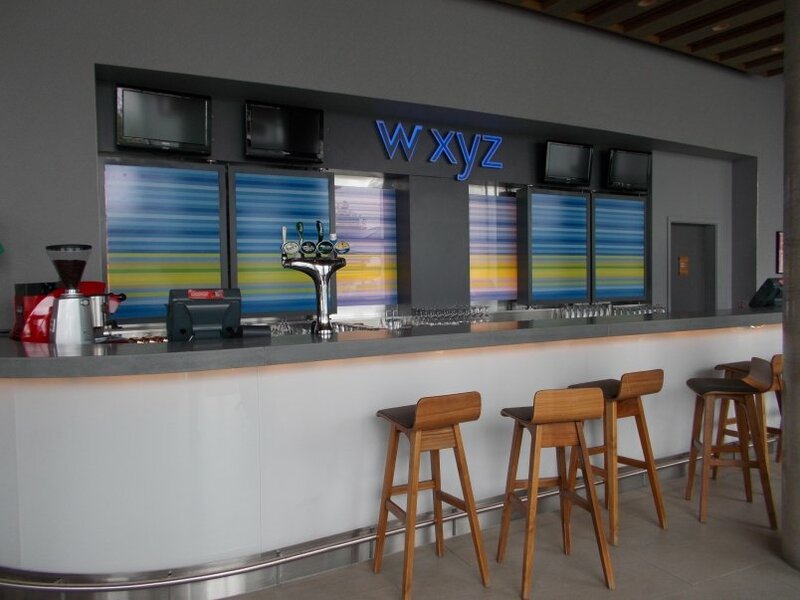 The hotel supports the independent traveler who expects modern accommodations and helpful staff, but is not looking for opulent surroundings. It is the kind of hotel where guests wander down to the 24/7 onsite mini food mart rather than call room service. It offered everything that I needed to take full advantage of my 72 hours in London and I will definitely stay there again.